The Aetrex E720W Lace-Up Black is designed to meet the demands of both fashion and function. This brown striped lace-up shoe is made of luxuriously soft full grain leather and incorporates linings made with moisture transferring polyester fabric for maximum comfort and breathability. 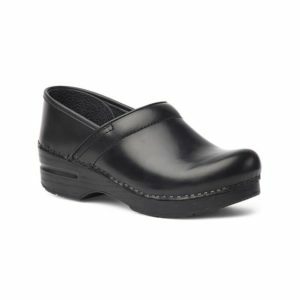 The Eliza also features 1/4″ removable depth in two layers – a patented Aetrex Performance Insole and Aetrex’s innovative PRST for customization and fitting flexibility.